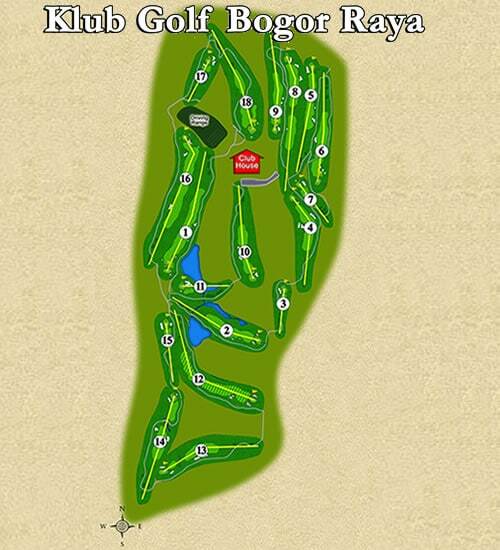 Located around 1:20 from Jakarta off the Jagorawi toll road likes the Bogor Raya Golf Club. 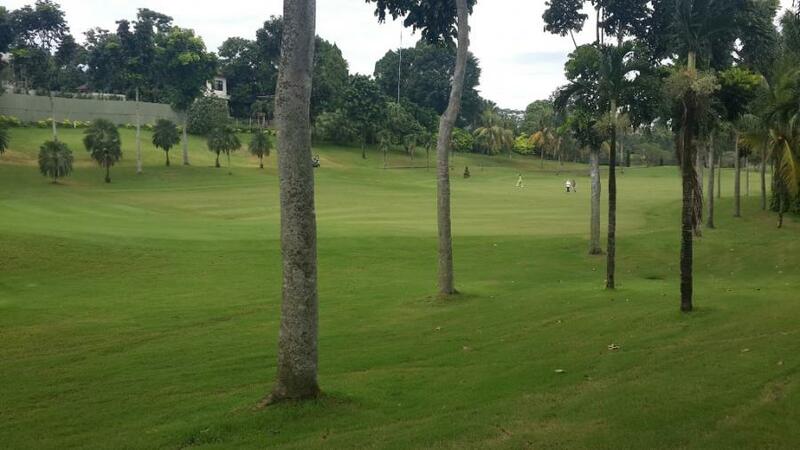 Klub Golf Bogor Raya, as the locals refer to the course, is one of the most scenic routes in the Bogor area. The golf course built into the hills surrounding Bogor, where at around 1,000 feet above sea level it&apos;s pleasantly cooler year-round than in Jakarta. 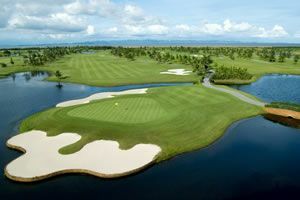 Designed by Australian Graham Marsh, the Bogor Raya 18-hole, par-71 plays through a natural setting with mature trees, flower beds, rivers, and lakes. 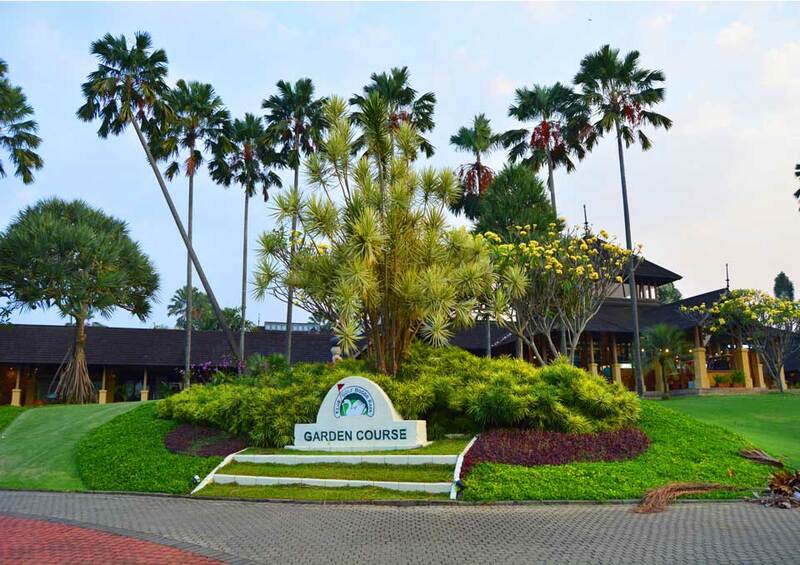 Through excellent maintenance and attention to detail, the course transformed a tropical garden with more varieties of fauna than any other area course. 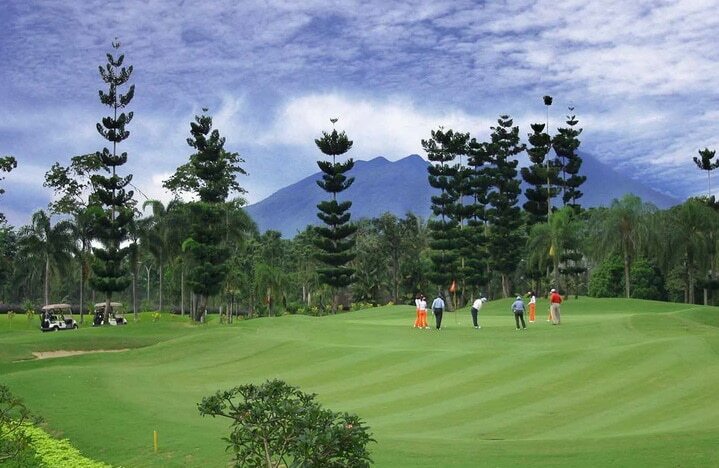 Here golf is played in amidst spectacular views and mountains in the distance. Towering pine trees line the course and all the holes are interestingly named after different types of native trees. 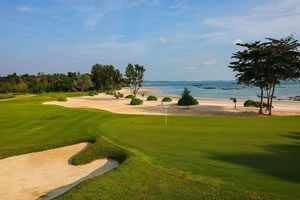 There are many interesting holes and the golf course is suited to all levels of golfers. Good ball striking is rewarded with gold scores on this fair and fun designed course. 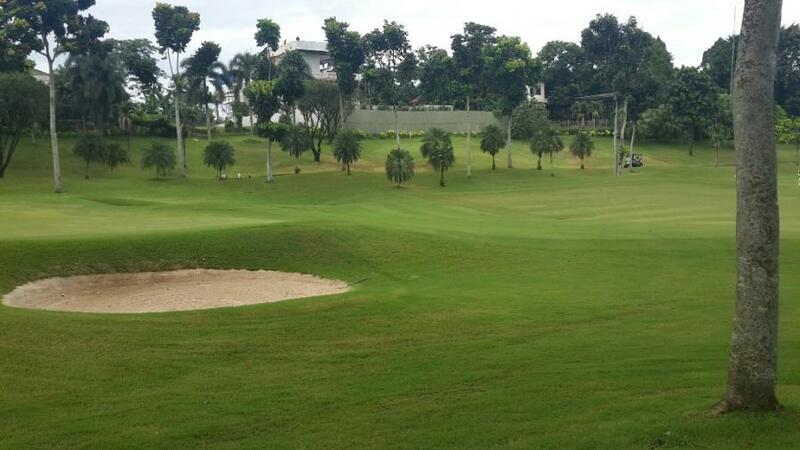 Long hitters will enjoy the course as the landing areas are vast and the fairways for the most part bowl-shaped. Green surroundings are more difficult making well-stuck hit approaches a must. There are many greenside bunker complexes to catch hard wayward shots. Greens are subtle in their breaks and quite difficult to read. However, most follow the surrounding hillside terrain which gives clues as to the direction of breaks. 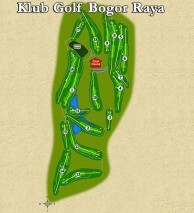 The best hole on Bogor Raya is the long par-3 17th. A spectacular 175 meter carry over a deep ravine requires a well struck long iron or hybrid to land the green. Anything short will necessities one or more re-dos and negates any chance to save par. A good score up to this point evaporates erased if carelessness occurs on this hole. 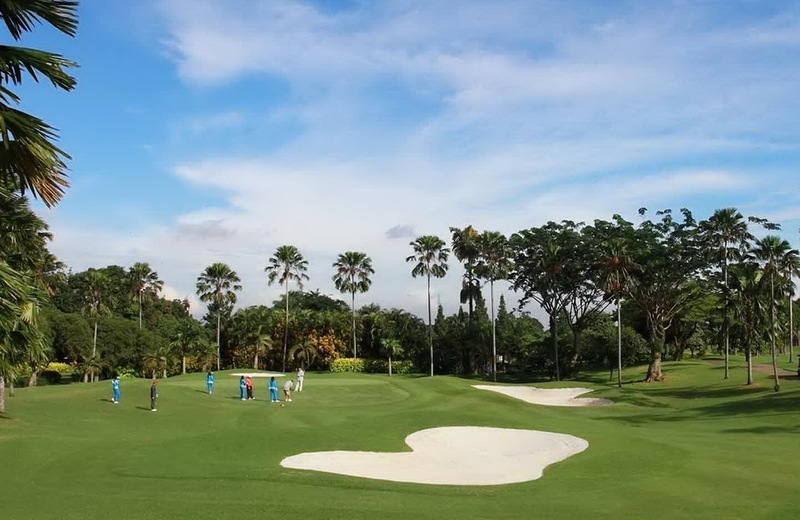 The authentic Javanese style clubhouse design and outdoor locker rooms layout is a refreshing change compared to the usual modern structures seen at other courses. 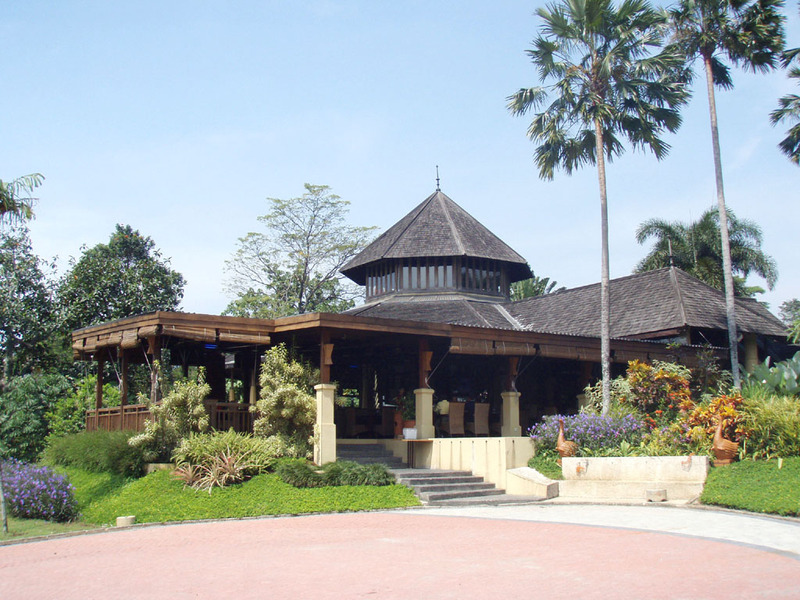 Inside the elegant and rustic style makes it hard to forget that this is golf in Indonesia. In addition to the locker rooms, other facilities include a pro shop, entertainment areas, private VIP rooms, and a traditional Indonesian restaurant. The setting for the latter is overlooking the course. Service and especially the caddie corps is among the best in the area. 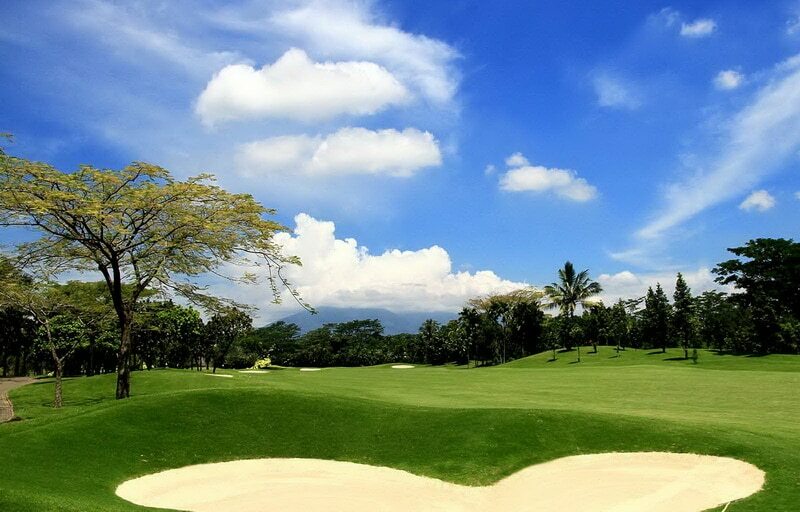 Bogor Raya is one of the top Bogor golf courses, and the on-site hotel Novotel Bogor is an excellent resort base for any Bogor golf package. 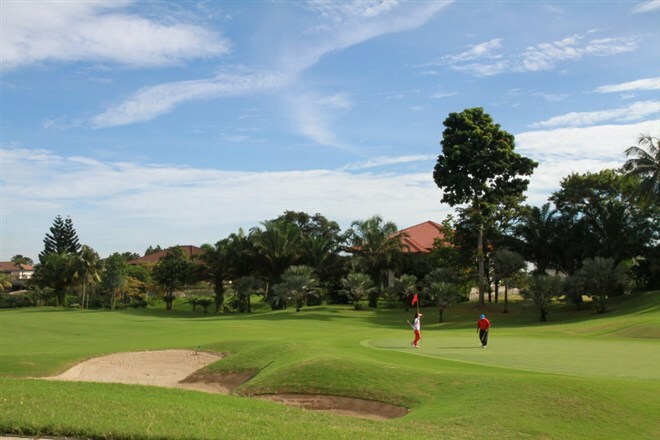 Have you played golf at the Klub Golf Bogor Raya and took some nice photos that you would like to share with other golfers? Send them to us and we may upload them here. Thank you in advance!